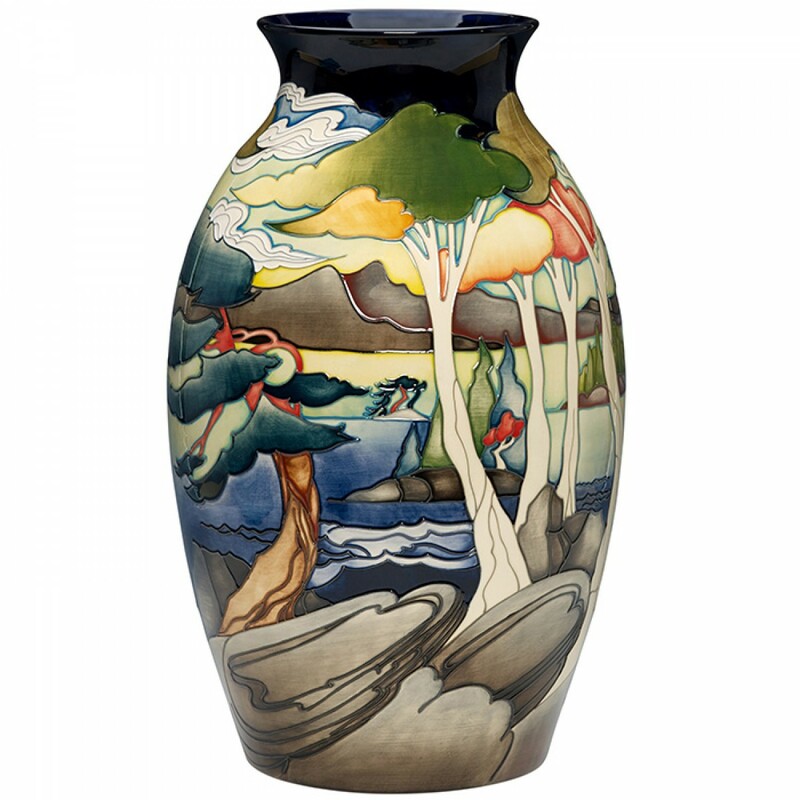 Collecting Moorcroft takes you on a journey of discovery. Not only do you come to possess a piece of Art Pottery from one of the last original firms of the Arts and Crafts movement, and a slice of Stoke-on-Trent ceramic history, but you also invite into your home, a world of inspired designs and stories from each corner of the globe. Group of Seven is no exception for it tells a tale about a group of Canadian landscape painters from 1920 to 1933, also sometimes known as the Algonquin School. Believing that a distinct Canadian art could be developed through direct contact with nature, the Group of Seven is best known for its paintings inspired by the Canadian landscape and initiated the first major Canadian national art movement. Initially influenced by European Impressionism, the group pursued a new, original style using bright colours, tactile paint handling, and simple yet dynamic forms. They transfigured the Canadian Shield, the dense, northern boreal forest and endless lakes, into a transcendent, spiritual force. Emma’s design takes elements from many different paintings from the movement. Waves and rocks mimic those of ‘September Gale, Georgian Bay’ by Arthur Lismer. Influences from ‘The Pine Tree’ by Tom Thomson can be seen in the tree branches. White whips in the clouds can also be found in ‘The Fire Ranger’ by Frank Johnston. Group of Seven is an interesting amalgamation of the unspoilt Canadian wilderness as seen through the eyes of several remarkable people, as inspiring now as they were almost 100 years ago.